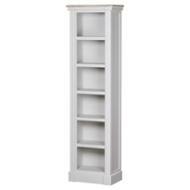 Display your favourite books in style with our beautiful collection of bookcases. 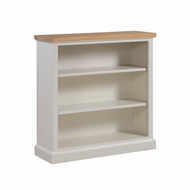 Whether you’ve switched to a Kindle or you’re still a fan of the classic paperback, our painted bookcases provide much needed storage space for books, ornaments and treasured photographs. 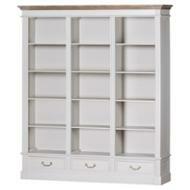 Discover the full bookcase collection at Baytree Interiors today. 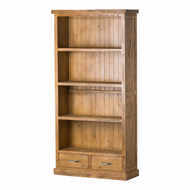 A bookcase is a wonderful focal point for any room and looks even better filled with your favourite tales! Our buyers have travelled the world looking for unique, stylish bookcases in a range of styles, each one perfect for your home. From our ever-popular painted bookcases to bookcases with drawers for additional storage, each piece in the collection is crafted from high-quality materials and built to last. 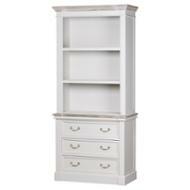 If you prefer a classic theme in your home, our vintage style bookcases are a fabulous choice. 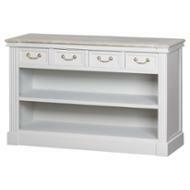 Pair with our display units, sideboards and dressers to create a cohesive storage theme that will enhance your home.